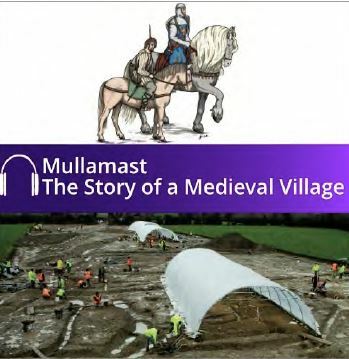 Transport Infrastructure Ireland and Kildare County Council cordially invite members of the Kildare Archaeological Society to a book and audio-book launch on Thursday 6th December at 5pm in the The Tanyard, Ballitore, County Kildare. Mr Michael Nolan, Chief Executive of Transport Infrastructure Ireland and Mr Peter Carey, Chief Executive of Kildare County Council, invite you to the launch of Colonising a Royal Landscape – the latest in the TII Heritage Series dedicated to publicising the archaeological results on national road projects. The book will be formally launched by Mr Guy St. John Williams, author and horse racing historian. Please click here to download the invitation flyer.